A third generation wrestler from an illustrious wrestling family, Dwayne Johnson has been able to make a mark in the world of entertainment be it pro-wrestling or the movies. His success as an entertainer is illustrated by the fact that he has managed to seamlessly transcend into the world of movies. The only other person who may have managed to do it must be Hulk Hogan. 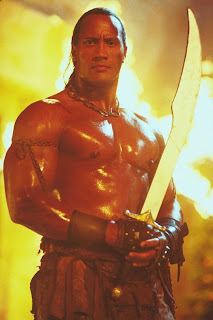 However his screen persona of ‘The Rock’ has been able to capture the imagination of audiences worldwide. It is ironic to think that when he first started off the crowd hated him. His lineage was always played up and he was even given the ring name of Rocky Miavia (a combination of his dad’s and granddad’s name). The crowd however found him to be boring and sometime even gave chants of “Die Rocky Die”. In keeping with his character Rocky had to smile and bear these cheers even though he was raging inside. This was also the time when Steve Austin became the epitome of the bad boy hero image. His fortunes took a turn for the better when he switched to being a heel and took up the ring name of The Rock. From then on there was no turning back. He began to use the opportunity that a heel character would provide to pour out his real life frustrations on the crowd. He would unleash absolutely venomous verbal attacks on the audience and would insult anyone he could lay his eyes on. But amazingly instead of hating him the crowd began to like him and his popularity began to surge aided in no small part by his superb mic skills. "If you smell, what The Rock is cooking!" 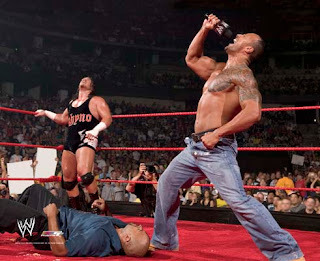 "Finally, The Rock has come back to (city name)"
It was not just his mic skills that helped him win the hearts of the fans at the time. As part of the attitude era he had some really unforgettable rivalries with some of the biggest name in sports entertainment. His feud with Mankind was absolutely brutal. They would go at each other with everything they had and with everything they could lay their hands on. Their ‘I Quit’ and ‘Empty Arena’ matches were truly memorable. Also unforgettable were his feuds with Stone Cold and Triple H. The feud with Stone Cold was interesting mainly due to the great war of words that the two would indulge in. Here were two superstars who no qualms about spouting profanity laden dialogues at each other and the crowd just enjoyed every moment of it. His feud with Triple H was more physical than verbal but it was never found lacking in intensity. It must be said that these three superstars were incidental in helping the WWF win the Monday night wars against the WCW. The Rock’s first big break in the movies came when he enacted the role of the Scorpion King in ‘The Mummy Returns’ which was a success. This along with his successful stint at ‘Saturday Night Live’ helped him in reprising the role of Scorpion King in a movie by the same name. As his movie career became more and more active his appearances in the ring became more and more sporadic. He would return once in a while to start a new feud (like the one with Hulk Hogan) or as a special guest in some of the matches. He went on to star in movies like The Rundown, Walking Tall, Be Cool and Gridiron Gang. He has since stated countless times that he is done with wrestling. 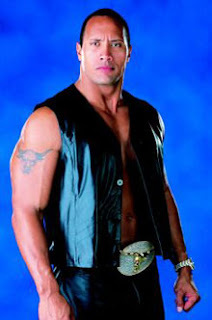 Whether as a movie star or as one of the most popular sports entertainer of all time, The Rock continues to capture the attention of the masses all over the world. He is one of those rare breed of wrestlers who has the looks, the charisma, the talent and more importantly the brains to make it big. His fans will be hoping that they can smell whatever it is that he is cooking for some more time to come. 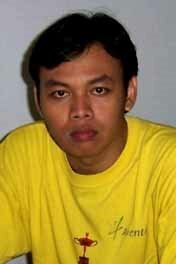 jeje, hi, how do you came into my blog? it's my diary, but i published it because i wanted to the people to read it, and i'll like to read their comments. 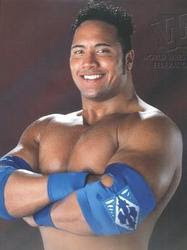 hey... kewl man!>.. i used 2 love rock.. esp his raised eyebrow.. n d way he says.. "Can u smell... what THE ROCK is cookin'??.." I adore ´r blog style. It´s so so so cool and exciting. I can definatly smell what the Rock is cooking, he is probably one of the best of all time !